A great blog can help your nonprofit connect with stakeholders, generate funding, and influence public opinion. However, it takes time and energy to craft posts that will resonate with your readers, and those are resources in short supply for many nonprofits. Having been a blogger for years, I’ve found ways to shave down the amount of time it takes to prep, publish, and share my posts. Here are some of the tools I use that can help save you hours every day. Image editing software has come a long way in the past few years. Until recently, different software platforms provided different functions, and you often needed to use more than one platform to finish editing your image. For example, I used to use Xara Designer Pro to edit my images and do text overlay; once that was done, I would export them to Xara Webstyle 4 in order to resize them. It was a cumbersome process that took up to an hour per image. Thankfully, there are now dozens of image editors out there that provide intuitive, comprehensive design functionality -- and many of them are free. Easel.ly and Piktochart are simple web tools that allow users to create powerful infographic visuals, with no design experience required. If you’re interested in taking your content marketing to the next level Wave is a useful tool for video creation. All of these powerful design tools make it easy to create beautiful, professional-looking visuals and more importantly save you time. Personally, I use Design Wizard (full disclosure: this is also the company I work for), and it takes me just 10 minutes on average to create and edit an image from start to finish. That’s 50 minutes less than it used to take me on Xara. Time saved – 50 minutes per image, 100 minutes per average post. Poor grammar, syntax, and spelling can damage your credibility as an author. Because of this, I invest a lot of time and energy into proofreading -- something that used to take me an average of 15 minutes per post. That is three separate 5-minute checks, over a 24-hour period to get around the author-blindness effect. Even then a second proofreader will find more errors and typos. Grammarly is a subscription service and it makes built-in grammar checkers look like a joke. It will spot typos in social media posting and in the WordPress editor, too. Grammarly isn’t perfect, and you still need an instinctive command of language so you can reject some of the nonsensical suggestions it makes. A Grammarly check takes me about 10 minutes per post. Social media is a powerful tool for expanding your reach and reader engagement. However, many bloggers find managing their social media posts to be a massive time sink. 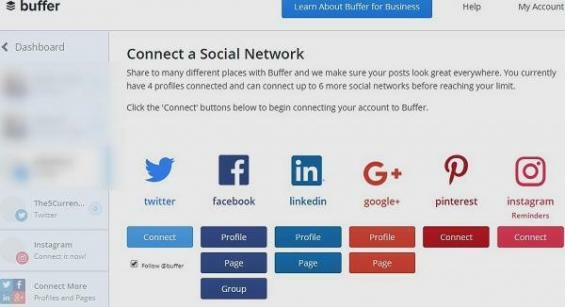 Buffer offers post automation, meaning you can schedule your posts and have them automatically published across all of your social media channels. Buffer also tracks how many views and clicks every post receives, giving you information you can only otherwise obtain from paid tracking apps. Time saved – 10 minutes per post. Search Engine Optimization (SEO) is as necessary to writing blog posts as is your keyboard, but it can take an inordinate length of time to check for keyword repetitions in text, headings, and image tags. Yoast makes a blogger’s life easy. You get obvious red/yellow/green action items in your WordPress dashboard and reminders to specify keywords. 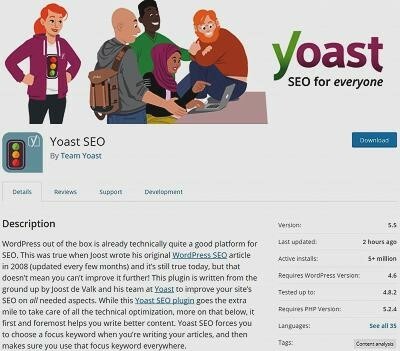 Whereas it would take me about 30 minutes to do my own manual attempt at optimizing my blog for search, it only takes me about 10 minutes to make the changes Yoast suggests. Time saved – 20 minutes per post. Pre-formatted tweets gives you vastly increased user engagement, but they take time to set up. Better Click to Tweet allows you to quickly set up tweets for your users to just click on. You can remove the “via Better Click to Tweet” phrase by just modifying the short-codes slightly. This plugin does slow down your site, so check your speed before and after installation, so you are aware of the extent of the problem. Time saved – 5 minutes per post. 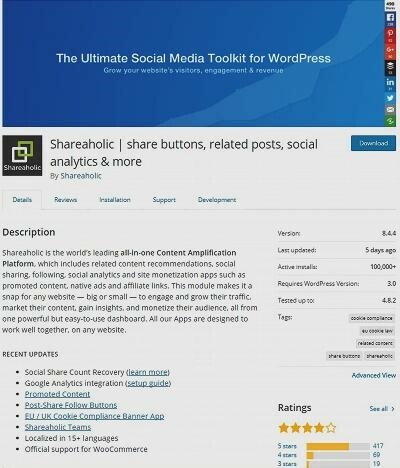 Yes, sharing is an essential facet of blog promotion and Shareaholic does that, but it its related posts feature that will save you time. Showing related posts will keep your visitor on your site for longer, reduce your bounce rate and improve your Google ranking, but manually finding related posts can easily take you 10 minutes for each post. Automating the process will reduce the time you spend on each piece. However, there will be a price to pay in page loading speed because all related posts plugins slow down your site due to the extra processing time to find the related posts each time the page loads. Making use of all of the above tools saves me about 150 minutes per post. Saving 2 hours and 30 minutes on every blog post you write is not something any blogger can afford to ignore. These are my time savings; yours might be different depending on how you complete each task currently. Claire is the Marketing Manager at Design Wizard. 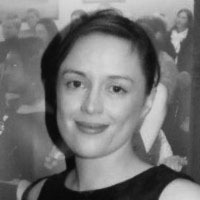 Claire has more than 10 years experience in content creation including visual content, digital marketing, email marketing, social media and advertising. She has an avid interest in all things digital and software related.